Kohler Engines designs its engines for lower operating costs and less downtime — and builds them tough as nails to last. 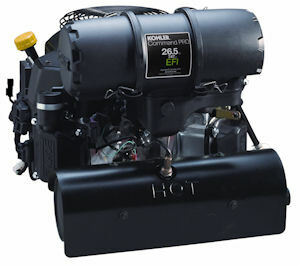 That includes the fuel-sipping Command Pro EFI, which delivers up to $600-a-year fuel savings (compared to a Kohler carbureted engine under comparable loads and duty cycles) and pays for itself in a year or less (based on 600 hours of annual operation). Imagine what you’ll save on a fleet of ZTRs.